I’ve talked about Thrive Causemetics before when I used their lashes for a tutorial and reviewed their much-hyped mascara HERE. That review is actually one of my most viewed blogposts so people definitely seem interested in this brand. As a result, I wanted to try more and give you the honest to goodness scoop. Thrive Causemetics is a cosmetic line that includes eye, lip, cheek and face products. 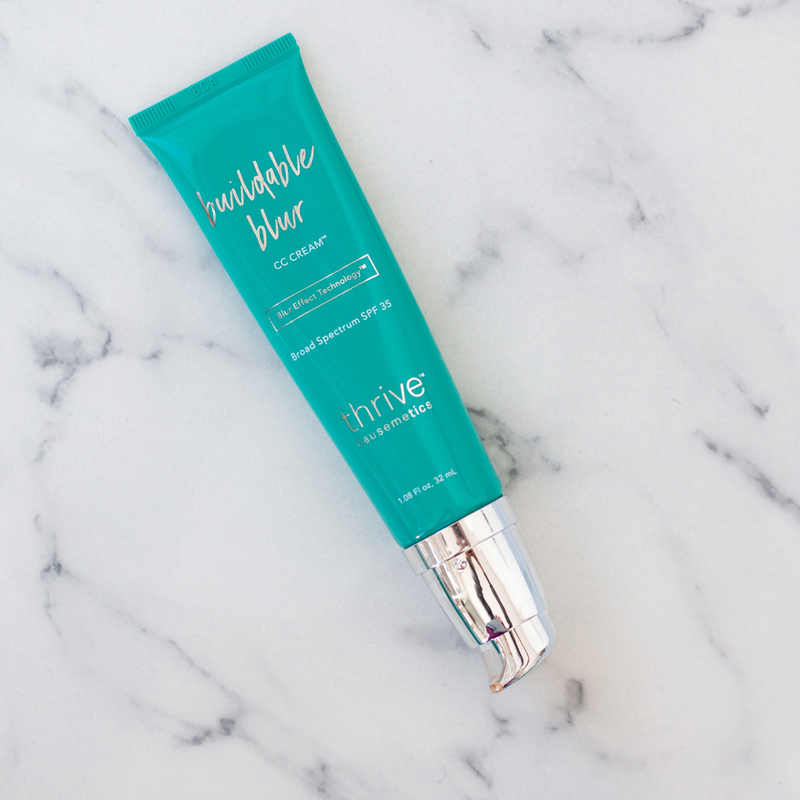 For every product purchased, Thrive Causemetics donates a product to a woman in need. I purchased the Thrive Causemetics Buildable Blur CC Cream in Light and the Sun Chaser Bronzing Powder from their site, currently the only place to purchase Thrive products. I recently began searching for a new CC cream, for both myself and my clients. Two of my favorite ones are failing me, in different ways. 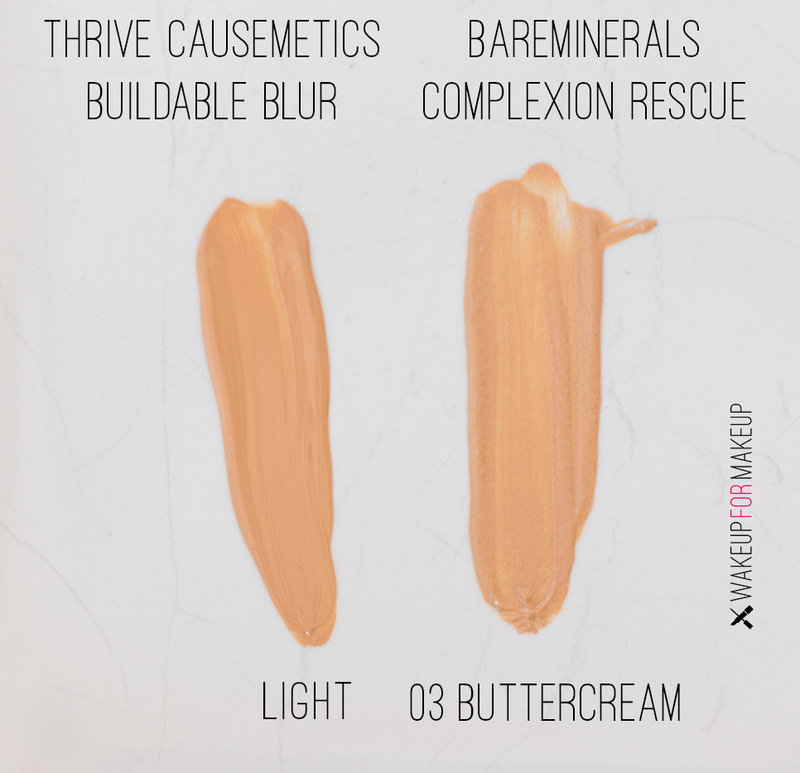 The bareMinerals Complexion Rescue contains comedogenic coconut alkanes that I’ve concluded caused a breakout and Smashbox Camera Ready CC Cream seems to be getting phased out. Why ya’ll gotta do me like this?! I’ve swatched the Thrive Causemetics CC next to my bareMinerals one below, which is a great yellow-based shade match for me. With 18 different shades in various undertones, the shade range is more diverse than any CC cream I’ve seen. I’m deducting a point for the lack of yellow undertones on the fair end. Thrive Causemetics CC is not as yellow as bareMinerals. Thrive describes Light as a neutral undertone. I chose Light because even though Light Medium is said to have warm undertones, I think it would be too dark for me rn. This is a more highly-pigmented CC cream which I love. I would compare it most to a medium coverage foundation. I love that it has SPF 35, vitamin C and silicone, which I find makes any complexion product perform and wear better. Silicone is likely what lends the “blur” in the product name. The finish is more matte than some CC creams. I do wish it was a little more glowy but it’s nothing too dry or chalky. For $38, 1 oz. of product in quality packaging with a charitable giving element feels good. I’m not a daily bronzer user, only using it when I’m feeling extra pale and sickly. Therefore, I’ve been using bronzer lately! When I use bronzer, I always prefer a matte finish and one that I can use to add natural warmth to my yellow undertone skin. I find most bronzers either have a golden yellow undertone or a reddish one. 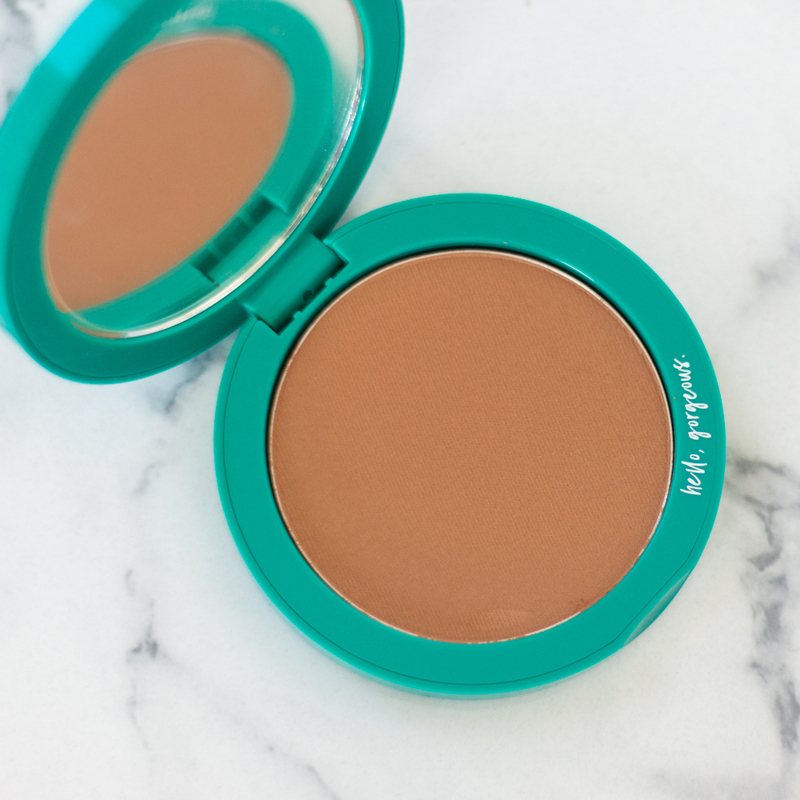 The Thrive Causemetics Sun Chaser Bronzing Powder in Rhea has a yellow base, which I love. It’s smooth applying and natural on. It looks nice on the face but also in the crease of the eye for a natural transition shade. Really, the only criticism I have is the higher price point of $32 but it’s a nice size pan with a mirrored compact at least. When I compared the Thrive Causemetics Sun Chaser Bronzer to 2 other bronzers above, it was even more clear to me just how nice the shade is. So far, I’m really happy with this bronzer. I recommend both the Thrive Causemetics Buildable Blur CC Cream and the Sun Chaser Bronzing Powder. They are both quality products in flattering shades that perform just swell. Save $10 on your first purchase of $50+ with this link.